Stylish shaker style stone white single bed complete with the Premier sprung mattress. 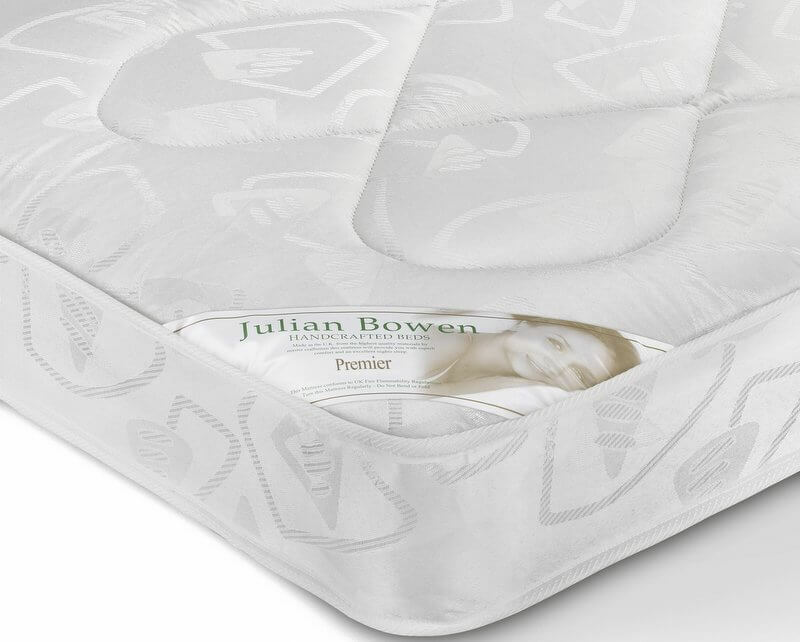 The Premier mattress has an oyster damask cover. 18 cm deep, sprung coil with medium firmness. Produced in the UK and complies with all relevant UK regulations. Ideal for children's or guest use. 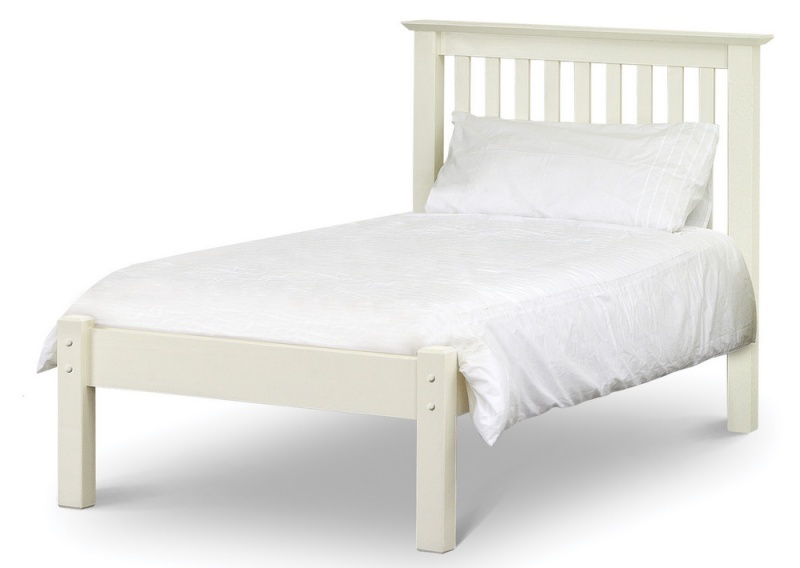 Construction: Bed frame is made from solid pine and MDF with a hard-wearing stone white lacquered finish. Colour: Stone white which is an off white colour similar to magnolia. 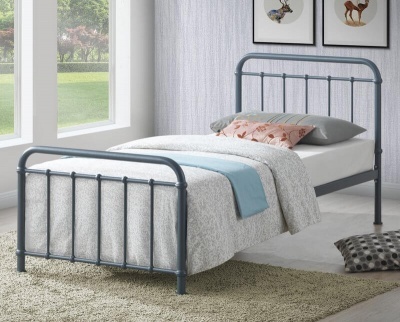 No need to struggle this bed is delivered by a two man delivery service to a room of your choice. If the delivery team believe that damage to the product or premises, or injury to themselves or others, may occur whilst delivering to your chosen room they will leave the goods in a safe and convenient place.